In 1955 I would have been 8 years old. 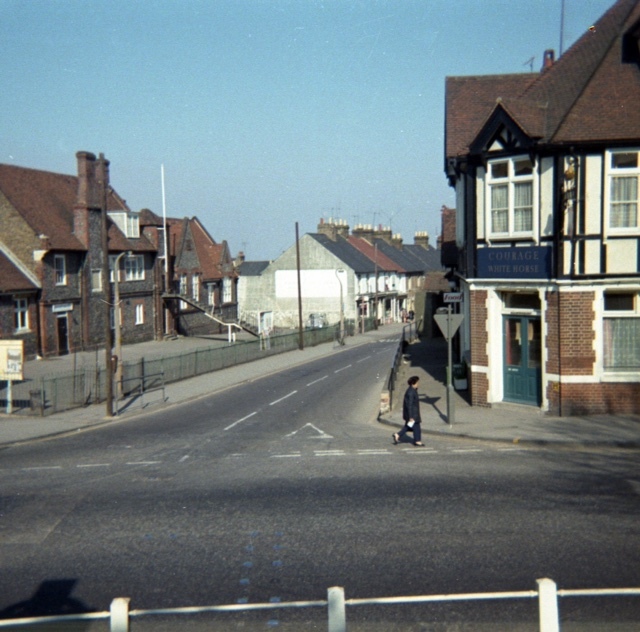 I lived in Quinnell Street in Rainham and on many a Sunday I was asked by my father to “run an errand” with one of my brothers or sisters (there were ten of us then) to the farm at the bottom end of Mierscourt Road to buy a pint of milk. There were very few shops open in Rainham on a Sunday in those days, in fact, the only two that I remember being open was Nellie Hunters in Berengrave Lane and Smiths sweet shop that was opposite what is now the Rainham Precinct, but then The Church of England School (St Margaret’s), and anyway, shops didn’t sell fresh milk then it was always either tinned condensed sweet milk or sterilised. We would begin our journey by walking the short distance from our house No 2 Quinnell Street to the A2.. The traffic would have been quite busy in those days as this was the main link to the coast and long before the M2 motorway had been built. 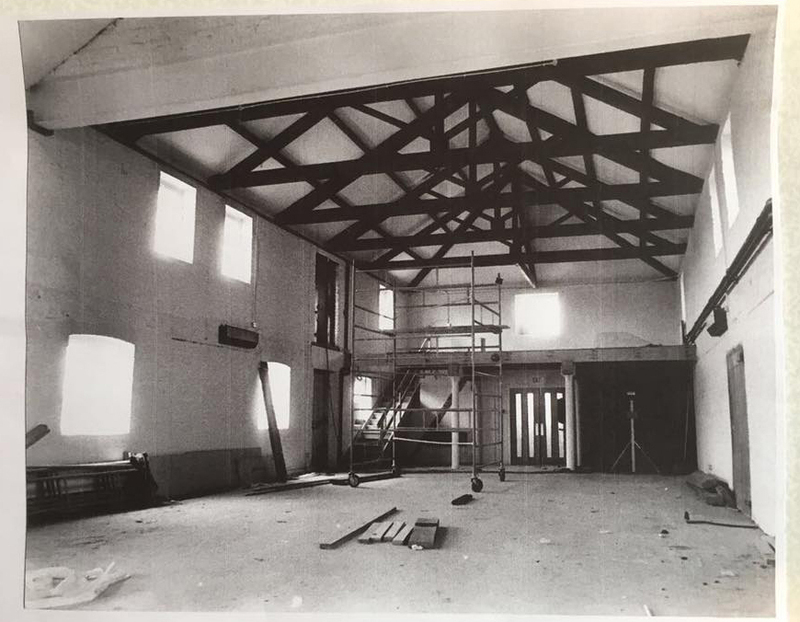 The first building that we would come to was Mr Osborne’s house and business; it is the white building with the flat roof on the corner of The High Street and Quinnell Street. Now used as a commercial premises it was an empty shop in those days and Mr and Mrs Osborne lived above it. 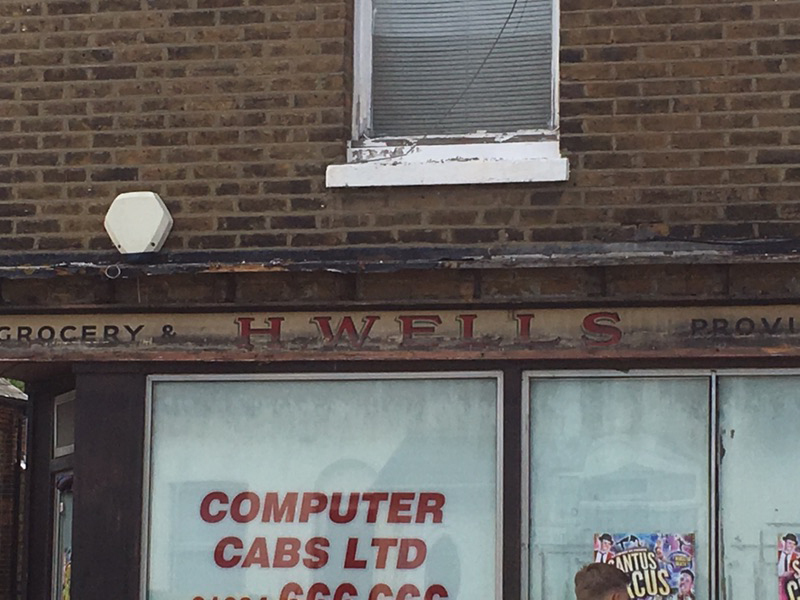 I’m told that in earlier years he ran a newsagents here. I can always remember his two Persian cats sitting in the empty shop window. Mr Osborne later had a large bungalow built opposite this building on the Southern side of the A2. If we had looked right at that point towards Gillingham and at which is now Hidson’s Car Sales, we would have seen Rainham Motor Cycles ( I believe this was how Mr Hidson started his company)), next to this, The Blue Bowl Café and then The Midland Bank on the corner of Berengrave Lane where in 1968 my young brother was hit a killed by a bus that was turning into Berengrave Lane, The top of the road was later blocked off. We would turn east at Mr Osborne’s place towards Sittingbourne on the North side of the High Street. 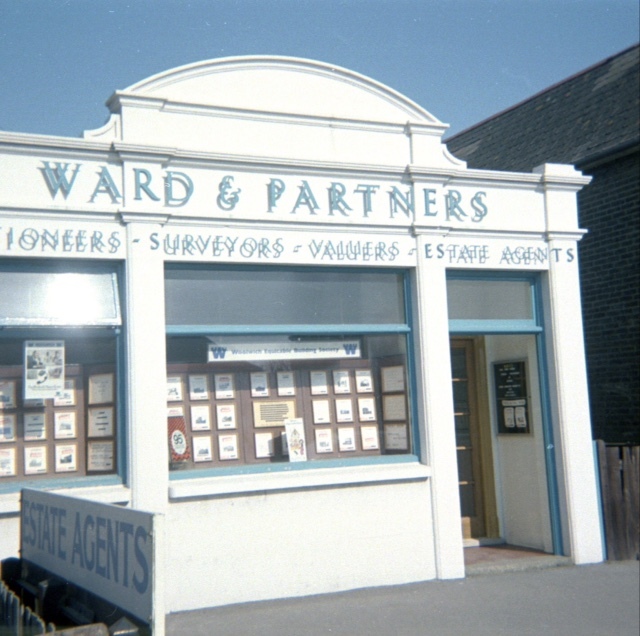 We would then pass Mr Durell's house which is now Mann’s Estate Agents. 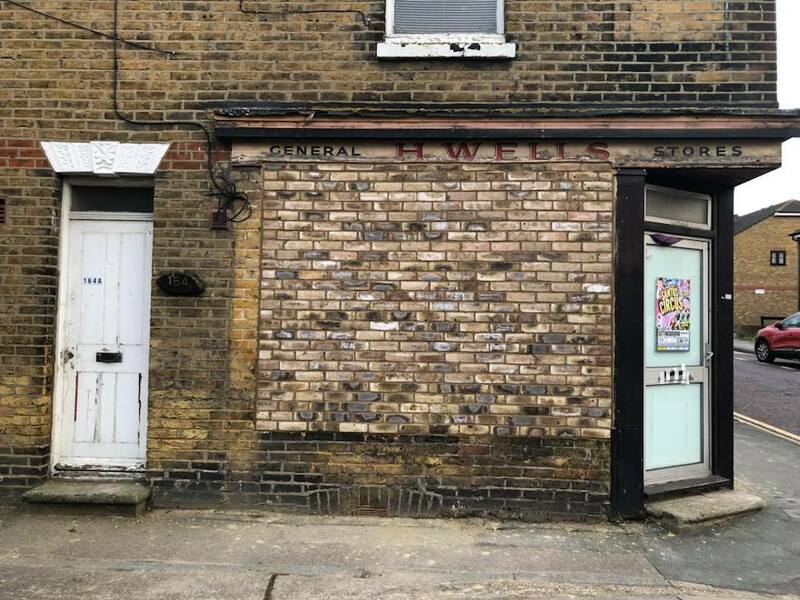 Mr Durell owned the small garage that used to be on the corner of Maidstone Road opposite the building which was the Gas Show Rooms and now The Manor Farm. After Mr Durells house there were three more houses where Miss Wallis, Mr Hewes, and Mr Goldup lived. The houses had long cultivated gardens with lawns and fruit trees, all these gardens backed on to the side of our garden now sadly these gardens have been flattened and covered with tarmac and used as a car park and the houses are now converted into commercial premises and the front gardens which were walled or fenced are now open forecourts. 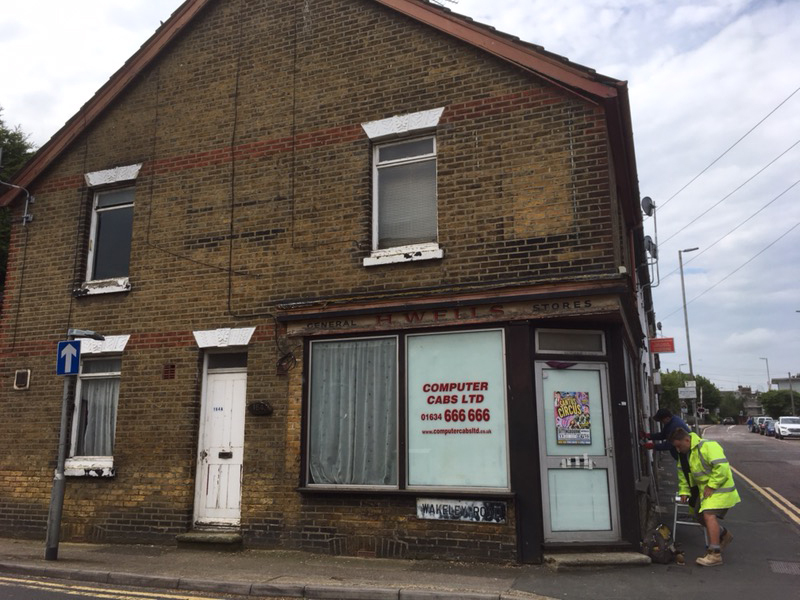 Next to these houses we would pass The Chatham and District Water company building which is now Wards Estate Agents and next to this another private residence where Mr Manktelow lived and again now a commercial premises. Next was The Telephone Exchange the building which is still there but behind it in what was our playing field is the ugly modern building that houses the new exchange. After this we would walk past Mr Ransley’s house, he was a local coal merchant, again his house and the one next door where Mrs Naylor lived are used for commercial purposes these days. Then we come to Beveridges The Chemist and the house that went with it, this is all John Morley’s building now. I can remember the forecourt in front of the shop once collapsing and revealing what I believe was a Dene hole or something like that. The next building was The South Eastern Electricity .show room this was on the corner of Holding Street and now an Estate Agents the garden backed on to the clinic. . Passing this building, we came to Stuarts Express Dyers and Cleaners and next to this, one of the few existing businesses, Poulton and Sons the Ironmongers. After this we walked by shops such as Guthries, Corals, Ward & Partners before coming to another row of wooden houses where my friend Sheila Hook lived and another gentleman next door whose name I don’t recall. Also part of the wooden buildings was Nicholsons sweet shop. These buildings have now been replaced by Lloyds TSB Bank. 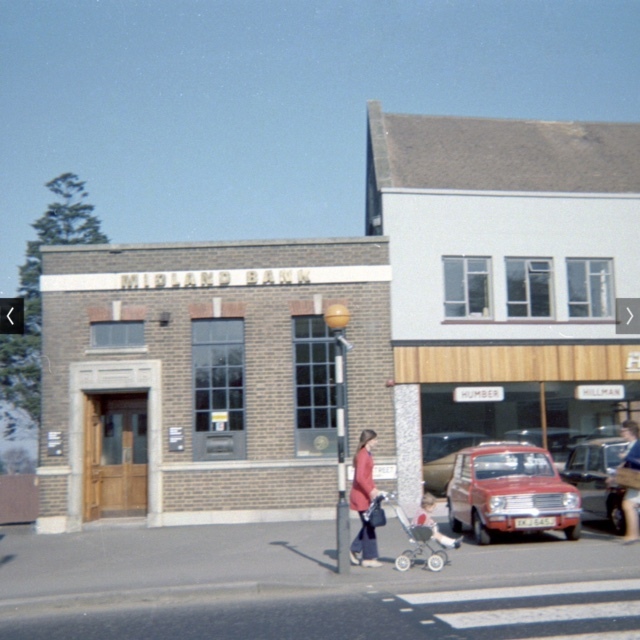 Next was The Rainham Library a tiny shop compared to the new one that was later built in Berling Avenue., After to the library we came to Josephine’s the hairdressers where my mum used to get her hair done and at the end of this block was Holdings the Greengrocer. I clearly remember when old Mr Holding used to weigh out the vegetables on his old brass scales. Moving past Holdings we came to a slight recess where Frank Rose and Son Grocers shop was and next to this Frank Rule Stationers and then Greens Cycles this is where Patrick Duffs Opticians is today. There was a big house next to Greens which has long been demolished and Grey Fox Estate Agents building has since replaced it. There was small farm next and, the farm house was set back off the High Street. Mr and Mrs French lived here and they must have kept chickens because Mrs French use to sit at her front gate selling eggs. Past the farm was Barretts Motor Cars and then The Forge Garage all these buildings were demolished to make way for the entrance to Rainham Shopping Precinct. We would then come to Barlow’s The Cobbler and next to him was Rainham Radio. My friend from school, Roger Rouse lived with his parents in the flat above the shop. 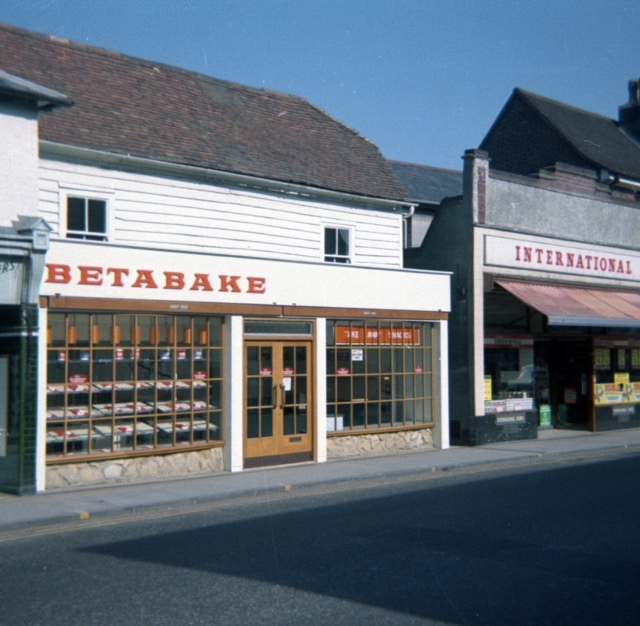 After Rainham Radio was the Reed Brothers Barbers shop and then Cremers the cake shop where, on a Monday they used to sell out of date cakes for a penny this was probably the only chance I got to get a cake in those days. Passing Cremers, we would then come to The International Stores this was quite a big grocery store probably what we would call a small Supermarket today. Looking opposite here across the High Street we would see The Royal Cinema or the Bug Hutch as we called it. This building is now Lukehursts furniture store now but you can still see the roof of the old cinema. After The International Stores was Guthries ( I think they sold carpets), Ward & Partners and then another of our existing businesses, Barclays Bank on the corner of Station Road. 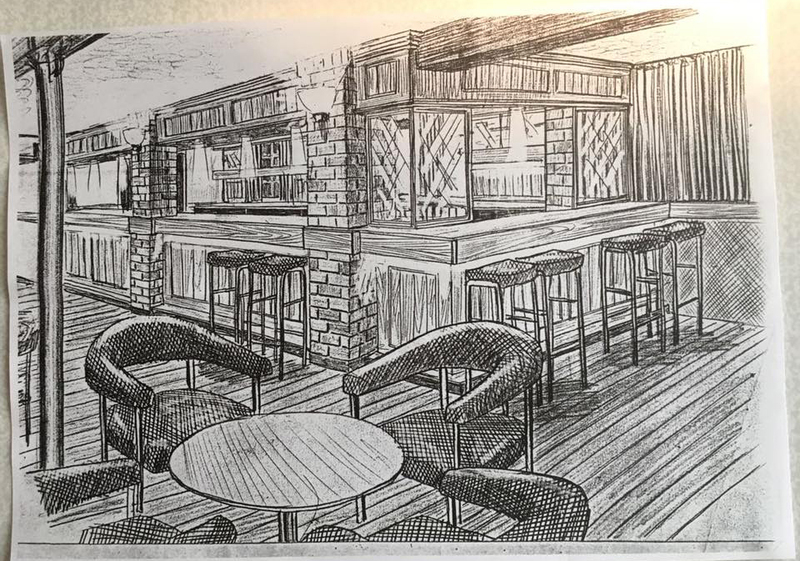 We would cross Station Road and walk past The White Horse public house. It would have been closed at this time of the day as the licensing hours on a Sunday lunch time were 12 noon til 2pm. 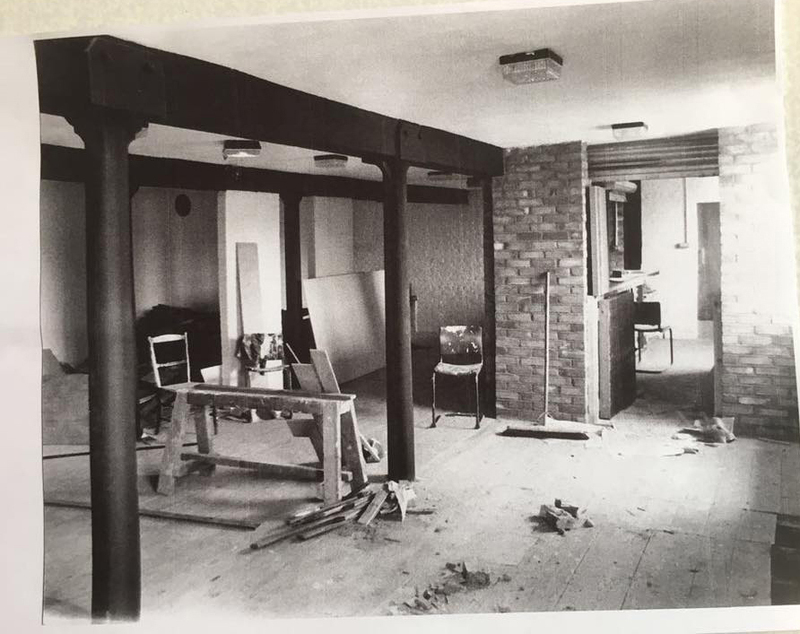 Although the pub is still there, it has seen many changes inside since 1955. .
After The White Horse, we came to the Co op stores which have since been demolished and The Rainham Healthy Living Centre constructed on the land. 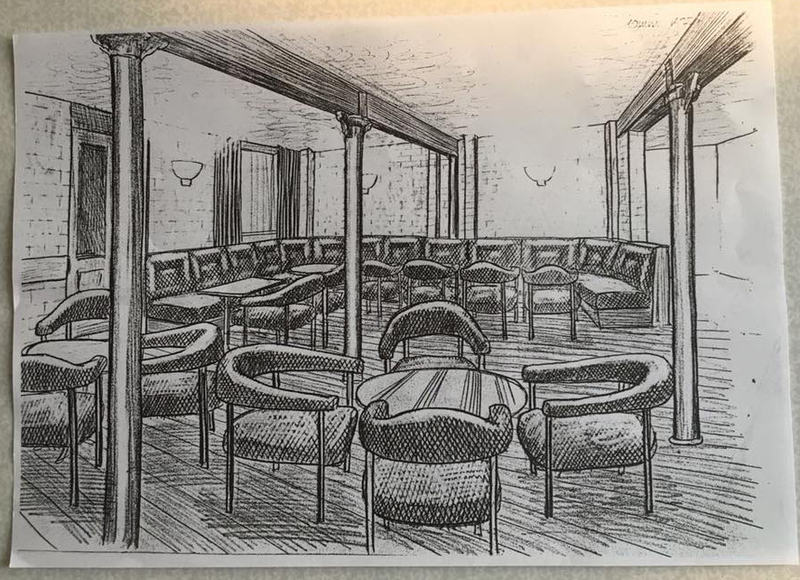 I can remember that there was a hall above the Co op stores where a couple of years earlier in 1953 they held a big party for us kids for the coronation. Its nice to see that the old Palm tree is still at the side of the new building. I can recall looking at this tree from my school in Station Road from when I was five years old. Passing The Co op we came to Bardens this was a Greengrocers shop which is now The Olive Tree restaurant. Mr Bridges big house The Old Parsonage was next and I can still remember him and his children riding their horses out of the stables there. 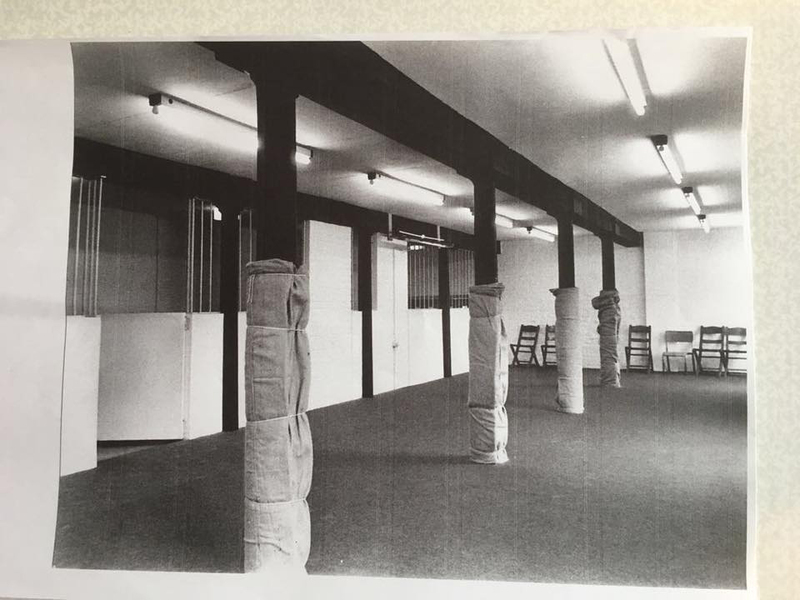 This building is now a fitness centre. We walked on past The Old Parsonage to the Post Office, I believe that there were some buildings before this that later became The Post Office Sorting Office which itself has been demolished to make way for Apple Tree Court. Passing the Post Office we would walk by Cross the Jewellers, Webbs the Drapers and Mills Outfitters coming to Mountains solicitors on the corner of Ivy Street. 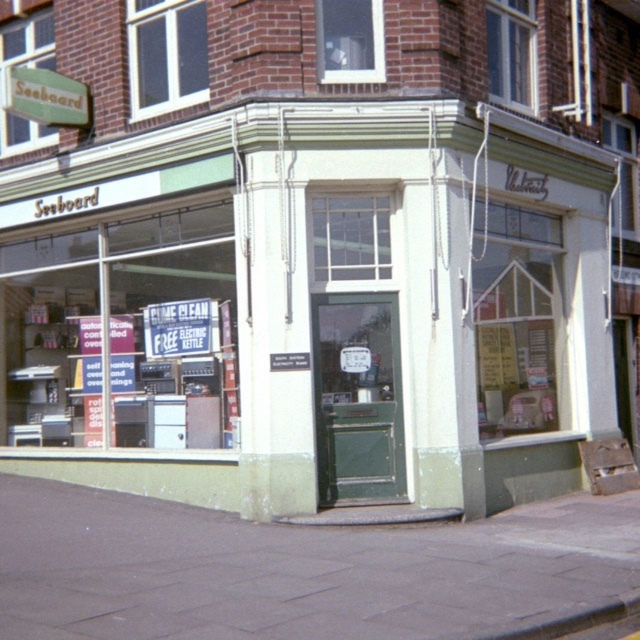 We would cross Ivy Street and pass Oldlands Florists which is now a Tattooist and then to Greens Newsagents. 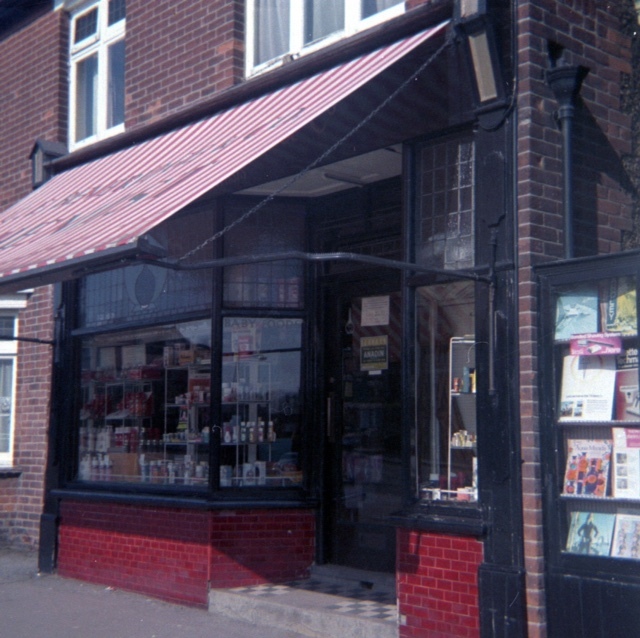 Although this is now a Hairdresser you can still see the old Newsagents sign sticking out from the wall above the window. Following on from Mr Quinnell’s house we would reach Scott Avenue, many of my school friends lived in this road in the pre fabricated flat roofed houses that have since been replaced by modern homes. 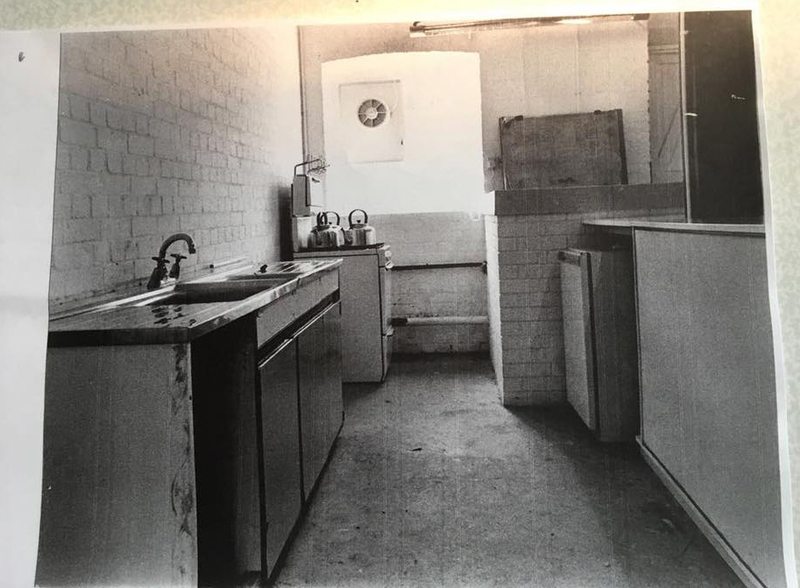 Although, in those days the original houses were only a few years old. We crossed the entrance to Scott Avenue passing Gilberts Builders and Panda Press coming to The British Legion now called The United Services Club. Then we would pass a few more shops the last one being The Chocolate Box. We would cross the road here to Mierscourt road and the farm was just a short way up the road on the right. It was now time to walk back home with the milk but that journey is to be told another time. I’m sure many of you who read this article will remember some of the people and places that I have mentioned and I am sure that I will have missed a few and apologise in advance. I hope you enjoyed my trip down MemoryLlane in old Rainham. 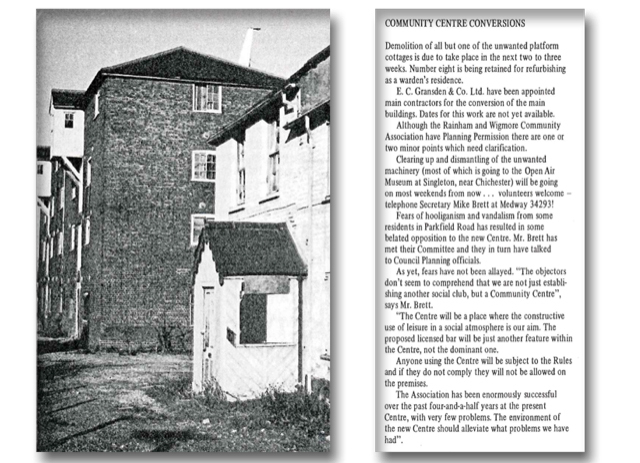 The Oast was purchased in 1970 for use as a Community Centre by RWCA (Rainham and Wigmore Community Association) and work took much of the 1970s to prepare it to a suitable state to open. It's celebrating 40 years as a Community Centre and hosting a Beer Festival to both raise funds and celebraet the date.